We often think of chalk only in terms of using on a chalkboard, however there are other creative projects you can try with chalk. 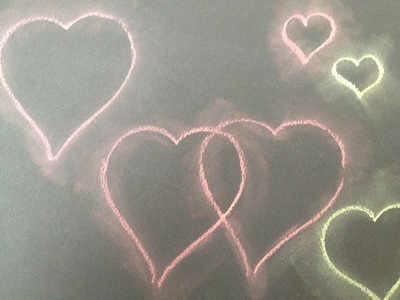 These chalk blur hearts would make an unusual Valentine's card but you can use the same effect on any pattern template. The blurring effect makes them look like they are gently glowing. 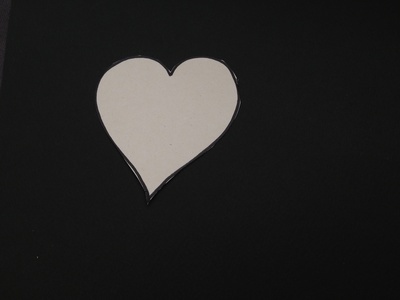 Cut a heart template from an old cereal box. Place the template on the black card. Draw around the template with a piece of chalk. 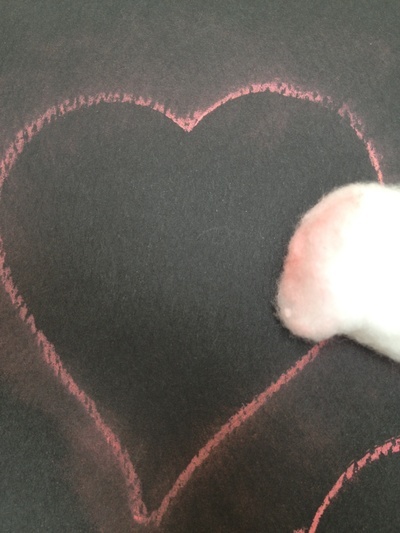 Using some cotton wool, blur out the edges of the chalk by dragging the cotton wool outwards from the heart. 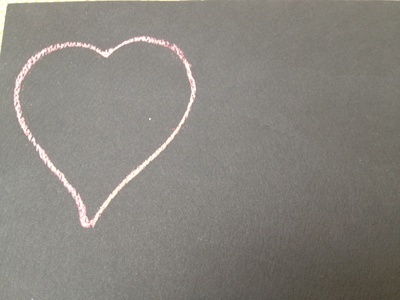 You can use the template again to create more hearts, side by side or overlapping.